Golf GPS watches are among the most-helpful golf accessories which play a big role in improving the game for golfers. 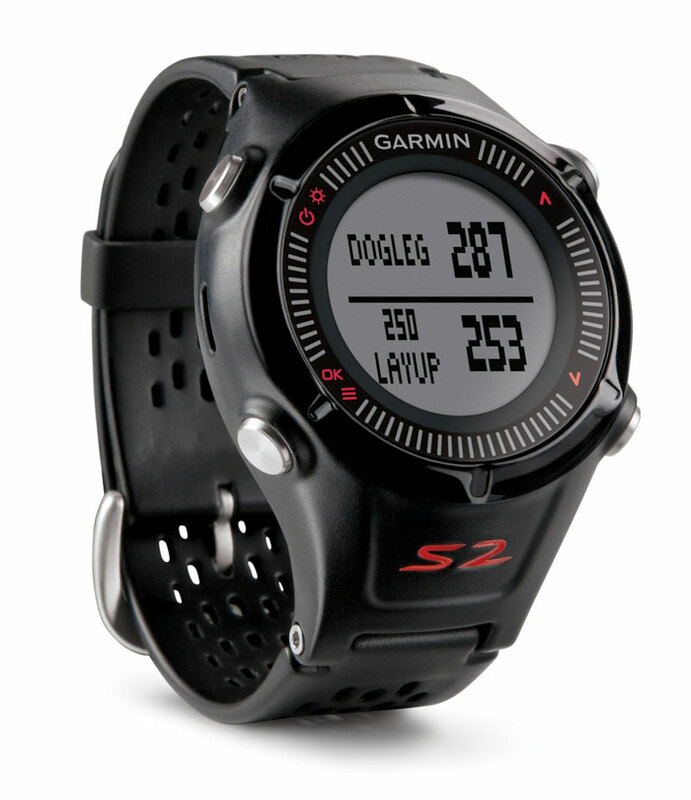 Here we review top 5 GPS watches for golfing. Bushnell GPS watch is currently the top-selling watch in the category of ‘golf course GPS units’ at Amazon website. Long battery life – between charges, three full rounds could be played. More than 35,000 golf courses (in over 30 countries) data are stored in the device. 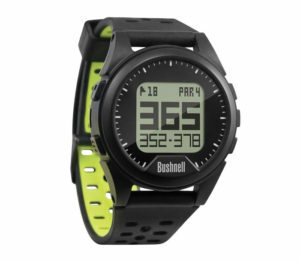 To buy Bushnell Neo Ion from Amazon.com, users have three options for the watch color to choose from: black ($145), charcoal ($145.57) and white ($149.98). Being another popular product in its category and with great customer reviews, Garmin Approach S2 is a great GPS golf watch with so many helpful options and features. Individual shot distances measurement – no matter where on the golf course, exact yardage for played shots would be calculated by the device. The entire holes’ usability is improved by the dogleg and layup distances provided by the watch as well as precise distances to middle, back and front of the green. For improved tracking under trees and stronger signal strength, a high-sensitivity GPS receiver has been used. Long battery life – in GPS mode up to 8 hours and in watch mode up to 3 weeks. The data of more than 30,000 worldwide courses is contained in Approach S2 watch. 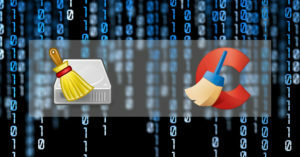 Lifetime updates are available too for free. It costs $149 to purchase black/red edition of this Garmin watch for golfers from Amazon website. Other available colors are: white/gray ($154) and black/green ($129.99). Via the comfort and convenience of a watch, accurate, fast distances to doglegs, hazards and greens are delivered to golf players using Callaway GPSy golf GPS watch. Scorekeeper – putts and GIR per round, shot distance and total/hole score are among the round data which is recorded by this function. The maps of more than 30,000 golf courses across the world are included in the golf watch. 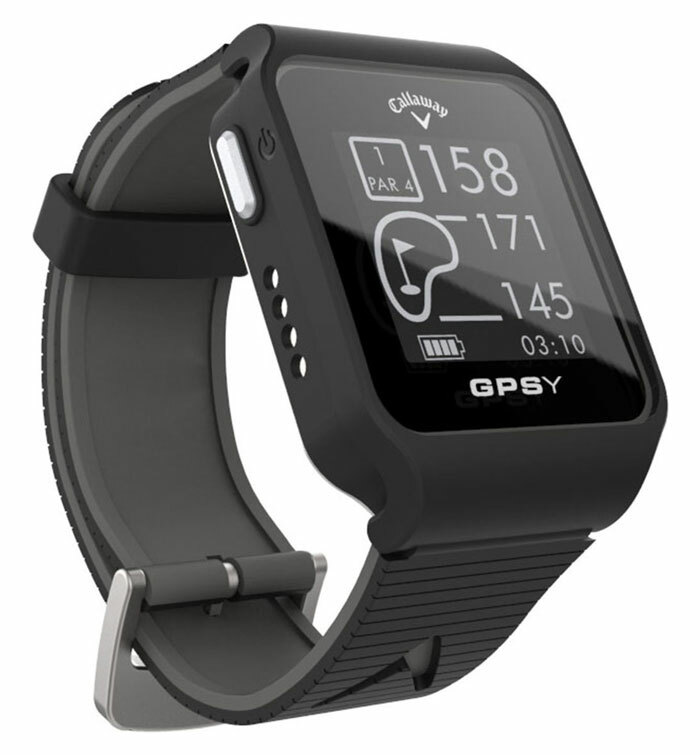 Callaway GPSy watch is available for golfers in two color versions of black ($149.99) and white ($154.10) at Amazon. Dynamic Green View – from every angle of approach, accurate yardages are provided to help the player. 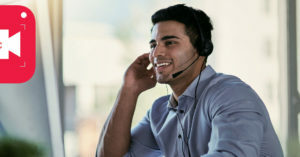 Auto course/hole recognition – so that the user be ready to go in the minimum time. Saving strokes is resulted by the fact that hazards and targets are included in the GPS unit. To improve the player’s golf game, distances to back, center and front of the green are displayed to them. GPS tracking – this feature could also be used for other sports too, as well as walking. Digital scorecard – GB Crouse Manager, a free software, could also be used to access and transfer scores. 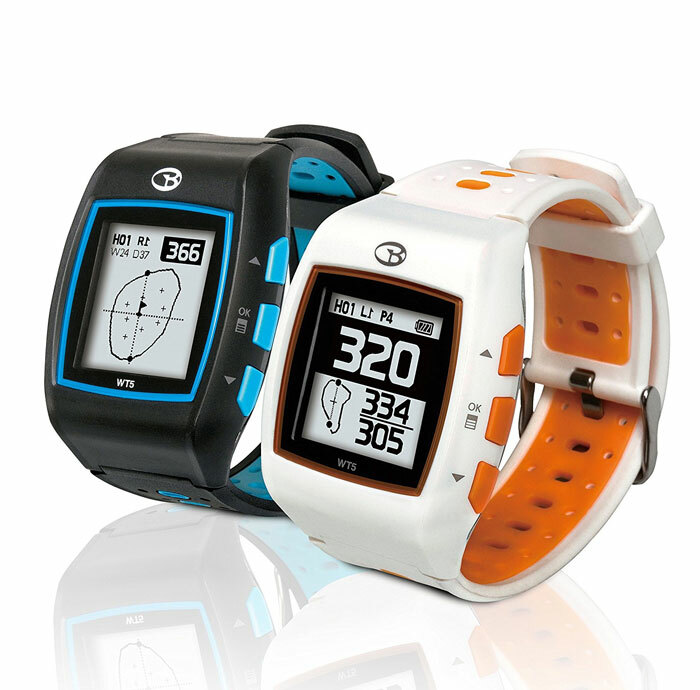 GolfBuddy WT5 Golf GPS Watch could be purchased in three different colors/designs of white/orange ($109.67), charcoal/gray ($107.12) and black/blue ($109.46). These prices are from Amazon website. 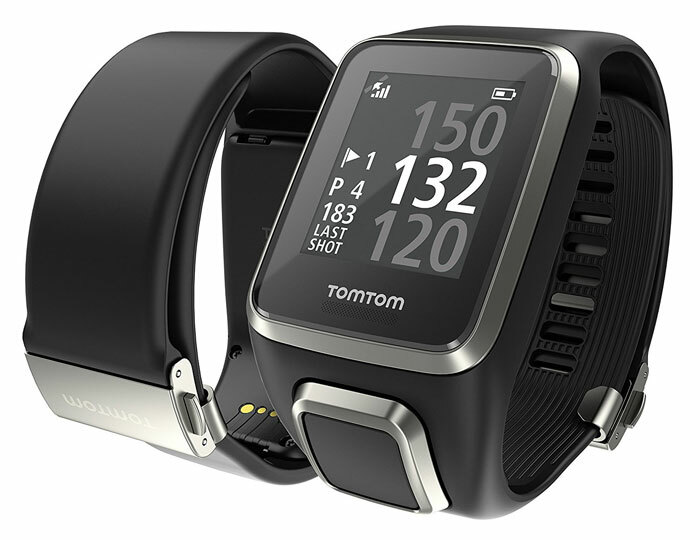 To help players master very hole, TomTom Golfer 2 watch provide exact distances to lay-ups, greens and hazards ahead. Before taking the shot, hazard and unique green graphics could be viewed on the watch. Precise distances to the back, center and front of the green along with distances to the back and front of individual hazards could be displayed. More than 40,000 international golf courses data could be accessed through the GPS device. For post-game analysis, shots are saved and categorized on the watch. Also, there is no need to worry about the pen or pencil anymore, since scores could easily be tracked through the automatic scorecard feature of the product. Giving insights about the game and showing distance potential are allowed by automatic record and detection of the shots (smart shot detection). 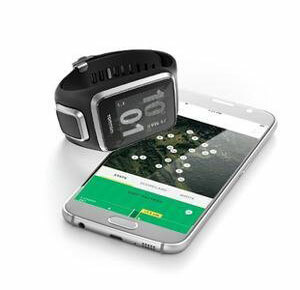 Other features of the device include one-button control, water-resistant to 40m, ultra-slim design, wireless syncing (compatible with TomTom MySports app, available for iPhone and Android phones), round tracking and daily course updates. So, before taking a shot, golfers could really know all of the golf course with TomTom Golfer 2. This GPS watch by TomTom is listed for sale at Amazon with a $179.99 price tag.